Officer Mark Vang and his colleagues at the Eau Claire Police Department know the physical and mental demands that go with careers in law enforcement can lead to all sorts of health issues. After all, stress, long hours in a squad car and apprehending suspects all can take a toll on their bodies. 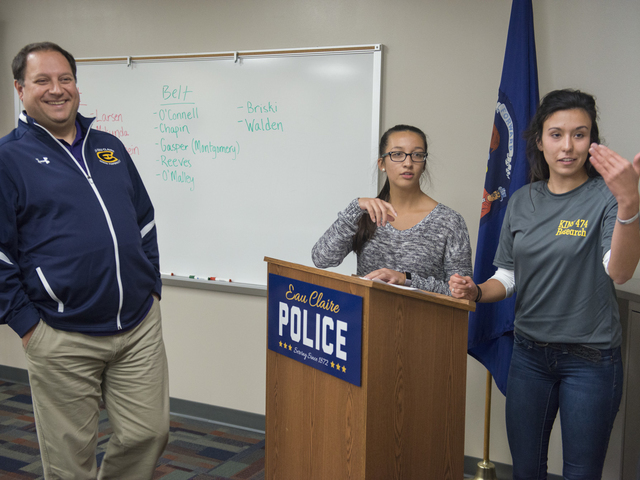 Dr. Jeff Janot and Blugolds Chantal Bougie and Anna Kohler (from left) talk with Eau Claire police officers about a shared research project. While it is impossible to eliminate all the health-related challenges that Vang and his fellow officers face, a faculty-student research team from UW-Eau Claire is working to address one problem that is all too common among patrol officers in Eau Claire and elsewhere: lower-back pain. The standard police belts officers wear to carry their equipment — including everything from handcuffs to batons to flashlights — typically weigh close to 30 pounds. Carrying that amount of weight on their hips during 10-plus hour patrol shifts puts a significant amount of pressure on the officers’ backs, especially their lower backs, Janot says. Many officers experience constant back pain, diminishing the quality of their lives, Rokus says. They also miss patrol shifts because of back issues, which leads to staffing shortages, overtime costs and numerous worker comp claims, he says. The Eau Claire Police Department is looking to the UW-Eau Claire faculty-student research team, in partnership with Mayo Clinic Health System physicians, to help them determine if there is a safer way for officers to carry their equipment. Specifically, the Blugolds are studying whether replacing the belts with load-bearing vests might lessen the stress on officers’ lower backs, while still giving them easy access to the tools they need to do their jobs, Janot says. The vests, which include bulletproof panels, hold all the officers’ equipment except Tasers and guns. Once loaded with the equipment, the vests weigh about 35 pounds, slightly more than the belts, Janot says. However, wearing the vest shifts the weight load from the waist to the trunk of the body, Janot says. With the weight more centered on the body, it puts less strain on the lower back, he says. To help get answers, researchers are working with 15 Eau Claire police officers to study the health-related pros and cons of using the vests and the belts. For three months, some officers in the study are wearing load-bearing vests while the others are continuing to wear the belts. The officers wearing belts will then switch to vests and those wearing vests will go back to belts for an additional three months. Throughout the six-month study, researchers will document and track how officers are feeling during and after their shifts. At the end of each shift, the officers will self-report and self-record any discomfort and rate the level of lower-back discomfort using a visual-analog scale. Researchers will collect and analyze reports weekly throughout the period of the study. “After six months, we will have a snapshot to see what levels of pain or discomfort these officers are experiencing over a period of time when wearing the belt and the vest,” Janot says. The UW-Eau Claire study will help the police department determine if making a change from belts to vests is in the best interest of the officers and the community, Rokus says. The department wants the research in hand before making a decision because buying vests for all the officers would require a significant financial investment, Rokus says. The department also would have to invest money and time in training officers to use the vests, he says. All officers go through extensive use-of-force training, which results in muscle memory that officers rely on when accessing their equipment, Rokus says. All officers would have to be retrained to create that same sort of reflexive response when wearing the vests, he says, adding that the officers who volunteered for the study range from rookies to 25-year veterans. To the best of his knowledge, this is the first research examining whether an officer wearing a vest is less prone to lower-back discomfort than an officer wearing a belt, Janot says. While the vests-versus-belts question is at the center of their project, the researchers are expanding their study to include creating a current biometric profile of more than three dozen active-duty police officers, giving the ECPD a look at the overall health status of its officers. Forty officers, including Rokus, will participate in the biometric screening part of the study. The biometric screenings will test things like the officers’ flexibility, spinal mobility, core endurance, aerobic fitness, upper-body endurance and lower-body strength. UW-Eau Claire has high-end equipment that researchers will use for the biometric screenings, Janot says, adding that it will be invaluable for students to gain experience using those technologies as part of a real-world study. Expanding the research project to biometric screenings also will help researchers and the police department identify possible underlying issues that could be contributing to the officers’ back pain or other health-related issues, Janot says. Among the strategies for gathering that information is having officers wear wrist and thigh monitors that will measure how often they change positions while they are sitting and how active they are while on duty, Janot says. The biometric profiles will give the department a baseline that they could use to identify strategies to improve the overall health, well-being and readiness of their officers, Janot says. “Having the answers to a lot of small questions can be used to make a big difference,” Janot says. 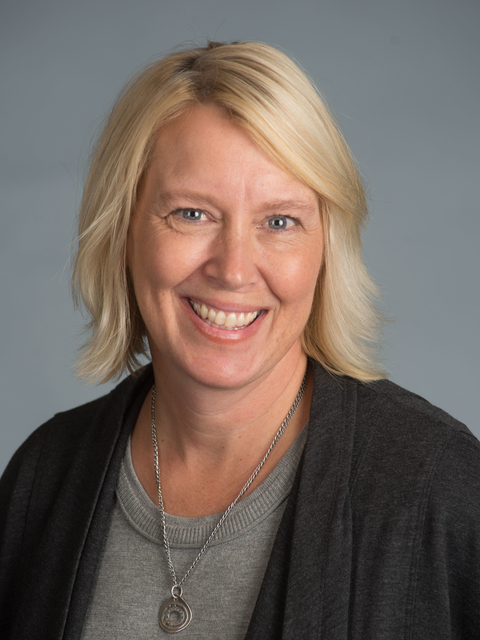 Knowing their findings will help the ECPD address real issues makes the research even more rewarding for the students and the faculty, Janot says. For Chantal Bougie, a junior kinesiology major from Oshkosh, being a student lead on a research project with real-world implications is an opportunity she never imagined having as an undergraduate student. “I am incredibly fortunate and grateful to have been given the opportunity to pursue this type of research,” says Bougie, who is a McNair Scholar. “It means one thing to be able to do research with a faculty mentor, but it means so much more to be doing research that impacts the community in such a positive way. The project also aligns perfectly with her future career plans, Bougie says. 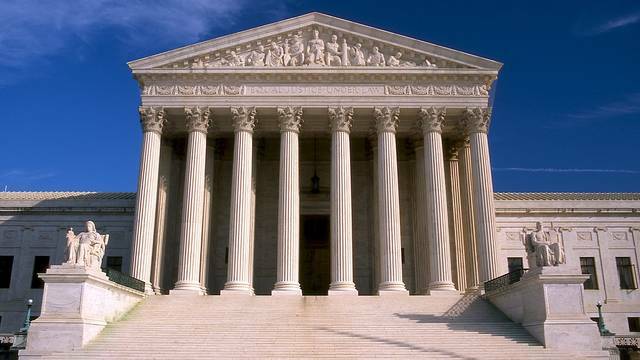 While UW-Eau Claire researchers are collaborating with the Eau Claire Police Department, already other law enforcement agencies are expressing interest in the findings, Janot and Rokus say. 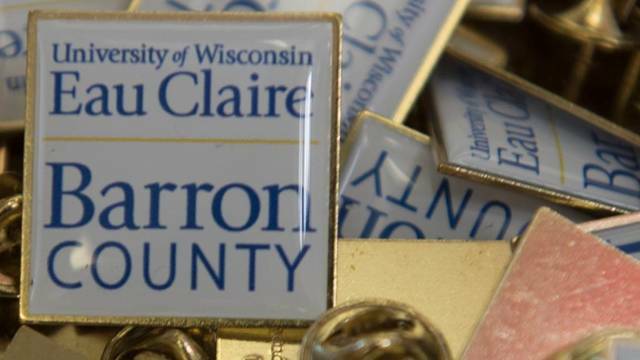 It’s exciting to be a partner in our community, and even more exciting to know that our work may make a difference far beyond Eau Claire,” Janot says. Bougie says it is a little nerve-wracking to have her first research project be so high profile, but she is confident she can handle it because she has an experienced researcher as her faculty mentor. “Dr. Janot has guided me through the research process and various procedures, set time aside for weekly research meetings with me, and most of all, has had the patience to work with me and teach me how to do research,” Bougie says. As a result, Bougie says she will better understand how to conduct a successful, thorough research project, skills that will serve her well in graduate school or in her career. “It is so important to take advantage of any of these high-impact opportunities,” Bougie says of faculty-student research. “They allow students to expand their knowledge outside the classroom and apply it to real life, whether it be in different countries or different settings. A UW-Eau Claire alumnus, Rokus says he already is impressed with the research team, especially Bougie and the other students. Other UW-Eau Claire kinesiology faculty involved in the project include Dr. Nick Beltz, Dr. Saori Braun and Dr. Marquell Johnson. 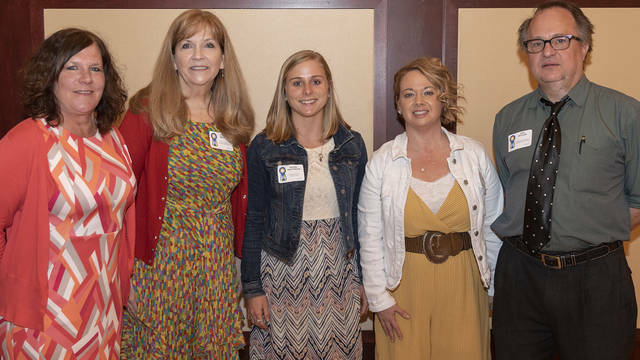 Student researchers include Chantal Bougie, Sierra Freid, Maddy Downing, Jessica Nagel, Anna Kohler and Lindsey Opelt. 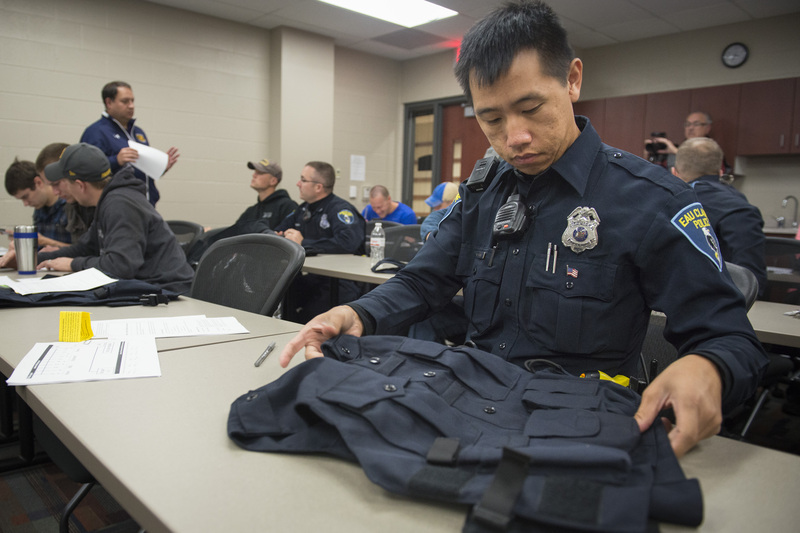 Top photo caption: Mark Vang, an officer with the Eau Claire Police Department, looks at a vest he will wear as part of a research project with UW-Eau Claire kinesiology students and faculty to determine if the vests will help ease back pain among police officers.